Eagle Hill Road - Red Plains Professional, Inc.
Red Plains was hired to assess and design roadway and safety improvements to Eagle Hill Road. 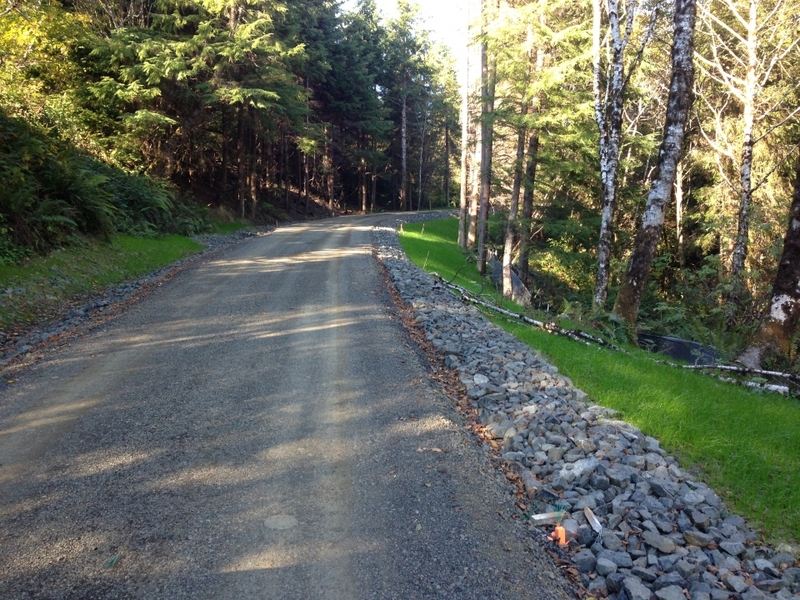 The road is the only access road to the Tribe’s northern property, community water supply, and several residences. 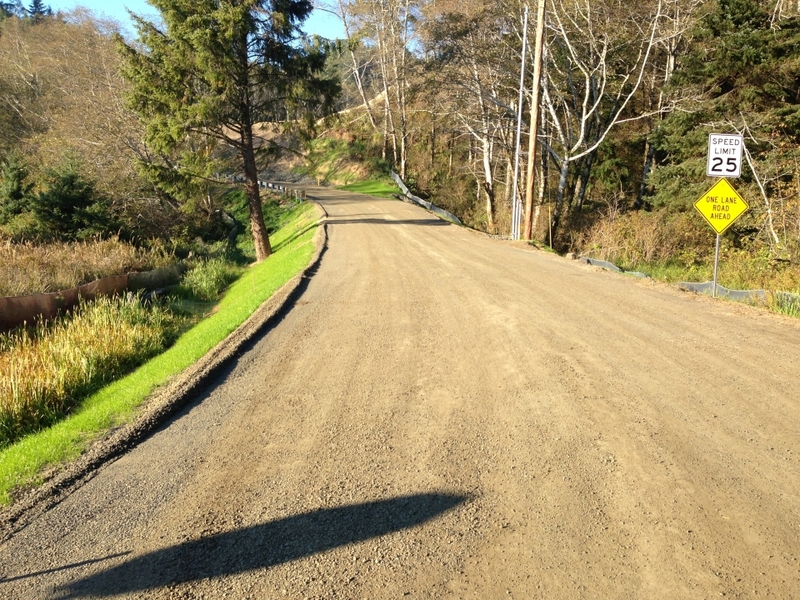 The route is also the regional tsunami evacuation route and is slated to potentially be the main access road to the future Shoalwater Bay master– planned community (projected for development above tsunami impacted elevations). The project design will support the construction of a new one-mile long, two lane road while also providing the grading plans for the development site of the Tribe’s future community center. Red Plains submitted an IRR—High Priority Project Grant Application to fund the construction of the roadway and development site. The grant was successfully awarded in 2012 and the project is set for construction in the dry season of Spring 2013. 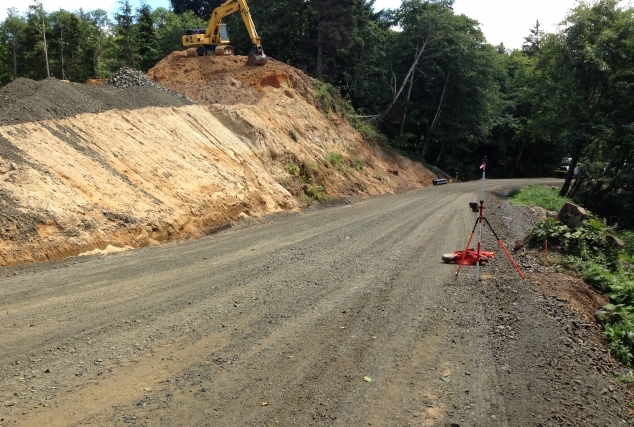 During the generation of the PS&E, the road experienced several land slide events. 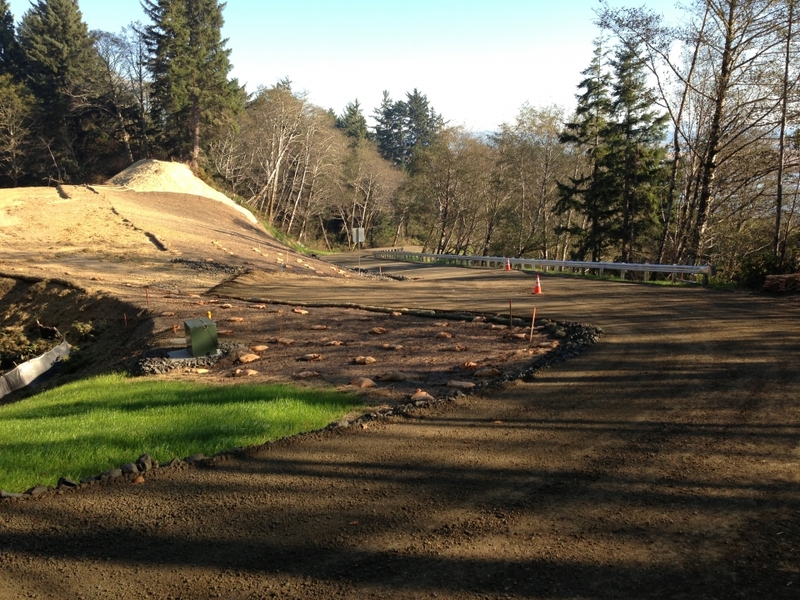 The land slides completely blocked the road and also impacted the subgrade and stability of the driving lanes. RPP was asked to produce emergency slide repair plans for the immediate repair of the facility. 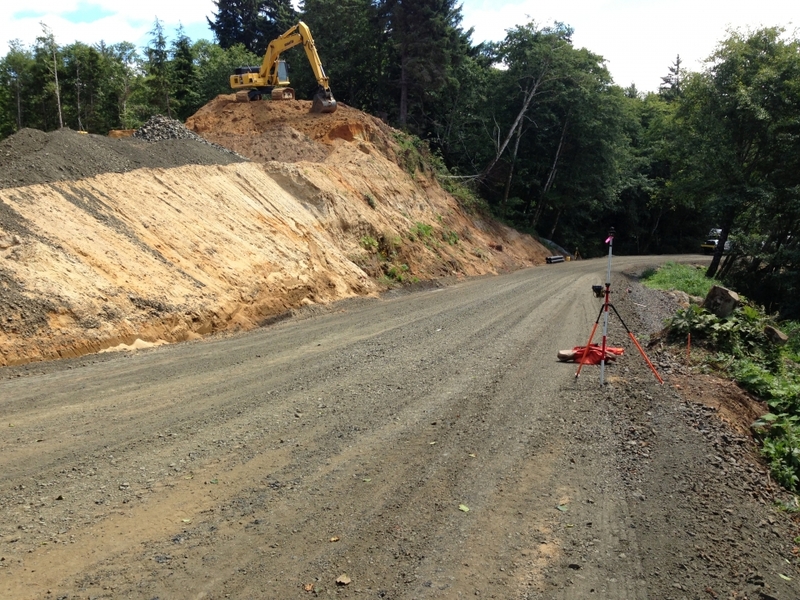 We generated a set of plans in conjunction with our geotechnical engineer in two days and the road was repaired.